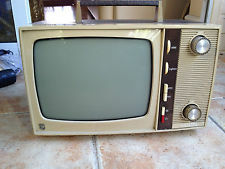 Even though the 70s are widely known as the time when portable TVs really took off, the 60s are by far the time when these were very stylish and filled with a lot of charisma. 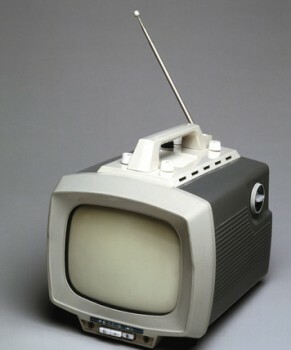 With that in mind, we created a list with some of the most interest portable TVs from the 60s. This model was quite simple but the portability was what amazed many persons all over the globe. It also had a very good performance and the buttons were very easy to access and use, which was a major plus and breakthrough at that particular time. The way the antenna comes out of this model is iconic and definitely one of a kind. The model was very portable and easy to control, but the best thing about it was surely the low weight and large screen. Sony 5 5-303W was so small that you could actually fit it in a suitcase, and that surely made it very interesting all around. It offered great new opportunities for those that wanted to catch up on their TV wherever they wanted! Perdio Portorama is quite similar to a pet cage to be honest, but at the time was one of the most interesting TV stations. Small, very portable and easy to carry, it was one of the best choices for those that loved watching TV on the go. With a larger size and a better antenna, this was a great model for anyone that wanted a little more focus on quality. 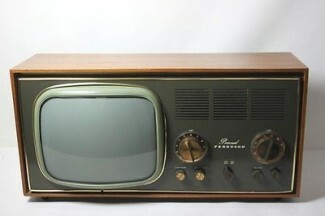 This particular model had a better performance and the entire experience was designed to be spectacular, something that made the Perdio ‘Portarama Mk II” a great choice for all types of TV users. Ferguson ‘Personal’ had a great design right off the bat, with the buttons being very stylish and the overall appearance being more than impressive. The model also had some interesting choices when it comes to the way it integrated the antenna, so overall it was a great choice for all portable TV lovers. The Doric models were more standard when compared to the others in this list, but they were still very interesting and great looking as a whole. It’s amazing how interesting and easy to use they were at the time, and that’s why many still collect this particular model even today! Philips 19TG 142A had a simple design and it was quite easy to use thanks to the great interface it provided. Other than that, it had a standard appeal for the 60s and you could have found it in many houses at that time. These are some of the most popular portable TV models from the 60s. These are quite appreciated today despite their age as they are collected for their amazing American culture value and stellar design. In fact, many collectors are trying to make them work with the current cable signal, and many of them are functional, something that clearly says a lot about the overall quality of these portable TV stations!